In a troubling development, the bullying of students who fled the Fukushima nuclear disaster is apparently more widespread than the boy whose ordeal in Yokohama recently attracted much media attention and generated public sympathy. A junior high school boy in Tokyo also has recounted his agonizing experiences of becoming the target of harassment, which continued off and on in his first and second elementary schools in the capital. “Unless a person who experienced it speaks up, a true picture of bullying cannot be conveyed to the public,” the boy, accompanied by his parents, told of his decision to come forward in an interview with The Asahi Shimbun. When the boy evacuated from Fukushima Prefecture in 2011, following the nuclear accident in March that year, he was in the second grade. All he could take with him from his home in the scramble to flee were a few clothes. He could not bring his school backpack or textbooks. At his new school, he soon found himself being bullied by his classmates, including girls. He took down a drawing that was on a classroom wall alongside those of other children after he found some classmates had scribbled disparaging comments on it. At the school, students formed small groups with their desks when they have school lunch. But students in his group avoided doing so with him. The boy finally began to refuse to go to school. “I cannot stand up due to pain in my legs,” he complained to his parents. His mother decided to transfer him to a new school only several months after he was enrolled in the Tokyo school. But the boy quickly discovered that the new situation was not much different from his former school. A teacher introduced him as a Fukushima evacuee in front of the entire school. Soon children asked him how much compensation money his family had received. They also told him that his family must live in a nice home for free just because they were evacuees. In the face of such bullying at his new school as well, the boy made the wish that he would be strong enough to persevere through the difficulties. His mother finally took action to help her son when he was a fifth-grader. She brought up his troubles during her talks with his homeroom teacher. Until then, though concerned, she restrained herself from speaking out in the crowd as several Fukushima evacuees were also attending the school. “If I spoke out in a strong tone, I might have caused trouble for other evacuees,” the mother said of her feelings at the time. But her patience ran out. In response to her pleas, the boy’s homeroom teacher asked her to “wait three months,” and the bullying stopped. But the harassment continued at the boy’s cram school. A few children from the same school were also enrolled at the cram school, and they, coupled with students from other schools, continued taunting him where the homeroom teacher’s oversight did not reach. The boy mustered the courage to resist when another child, showing him a pet bottle containing leftover food, said the bullying would stop if he consumed it. The mother, alerted by her son, reported the harassment to cram school officials and the situation improved after that. The boy said his relationships with his new classmates were good after he entered a junior high school away from his home. Although he did not reveal that he is an evacuee, he did not become the target of bullying even after his classmates later found out by accident. The parents said his family, evacuating from outside the evacuation zone, did receive compensation, but only a fraction of the sum a family from the evacuation zone was entitled to. The family’s access to free housing will end in March. “I am so worried about my future because I have no clue as to our life after that,” he said. Yuya Kamoshita, who heads a group of evacuees in the Tokyo metropolitan area, said the organization received five other complaints about bullying, in addition to the boy’s case. He said many children from Fukushima are routinely derided as “a germ” or “dirty” in association with the disaster at the crippled Fukushima No. 1 nuclear power plant. On November 18, 2016, Tokyo Electric Power Company, a.k.a. TECPCO, took a group of 13 students wearing dosimeters from Fukushima High School into the exclusion zone around the hobbled Fukushima Daiichi Power Plant for an educational tour. It is the opinion of the EnviroNews World News Editorial Board that this is unacceptable, and should not happen again until all radiation is cleaned up at the site. To be clear, epidemiology and medical science have firmly established there is no “safe” amount of radiation to be exposed to — period — end of story. With each subsequent exposure, no matter how small, the bombarded organism experiences an increase in cancer risk. Knowing that science has firmly established that there is no “safe” limit of radiation to be exposed to, it is the opinion of the EnviroNews World News Editorial Board that TEPCO should be ashamed of itself for taking a class of high school students into the still radioactive exclusion zone around the crippled power plant as part of what has been a continuous damage control campaign since the accident’s inception. Furthermore, TEPCO should apologize to the families, and commit publicly to not take any more children into the exclusion zone until all radioactivity has been removed. The exclusion zone around the demolished Fukushima Daiichi power plant is a dangerous place. But when a person goes there, the invisible dangers that lurk don’t threaten to kill or maim right away — the hazardous radioactive rays and particles around Fukushima threaten to kill or harm them at some point years down the road — and those same radioactive exposures can also predispose and mutate their unborn children and grandchildren with birth defects, disease and cancer. The gestation period of cancers from radiation ranges from as low as four years, to as high as fifty years or more. If an 80-year-old person is exposed to radioactivity, it is likely that other causes, either natural or unnatural, will lead to their demise before maladies caused by radiation will. However, for a very young person subjected to radioactivity, this is not the case, and for this reason, again, TEPCO should be ashamed of itself for taking children who may want to later have children themselves, into the exclusion zone for a publicity stunt. A physical trip to the location is not necessary to educate youth about the Fukushima accident, or nuclear power in general. To make a physical trip to the site with children is highly irresponsible. Less risky means of education must be used instead. Japan as a country, also has a serious PR problem with the ongoing Fukushima crisis — and that PR issue translates into economic problems, hence, Japan has done anything possible to slap a happy face on the disaster from the get-go. Though it’s possible to display many examples of this, the country’s fervent and costly effort to host the 2020 Olympics, despite many concerns about Fukushima from the international community, may be the grandest. Japan has done much to stifle and stymie the voices of anti-nuclear protestors, while maintaining everything is “under control” at the rubbled plant. Nothing could be further from the truth. It is the opinion of the EnviroNews World News Editorial Board that TEPCO, and the Japanese government, should come fully clean, relinquish their pridefulness, and engage the international community for help in the cleanup effort. To be clear on another point: the crisis at Fukushima Daiichi is in no way under control — quite the opposite. It is still out of control in many regards. For example, the radioactive waste water pileup problem at Fukushima is beyond critical, as over 1,100 massive storage tanks have engulfed nearly the entire area, filling the crumpled nuke site to the brim with deadly radioactive water. The operator has on multiple occasions had to discharge large amounts of tainted H2O out to sea. Secondly on this point is the fact that deadly uranium and plutonium contaminated water have been leaching into the ocean from under the reactor buildings on a continuous basis due to groundwater seepage. Japan is a country that has been torn to shreds by radiation poisoning, possibly more than any other. Furthermore, Japan is one of only a couple dozen or so nations on earth suffering population decline, but scarily, Japan’s population is starting to contract at an alarming speed due to a low birth rate. The last thing organizations need to be doing is risking the genetic integrity and fertility of Japan’s youths by taking them to nuclear meltdown ground zeros. TEPCO should hang its head in front of the media, apologize, and agree to engage in no further publicity stunts that endanger the country’s children. On another relevant topic, EnviroNews has long taken issue with nuclear companies being invited to participate in the educational process on nuclear issues, as our research has shown that children’s opinions are easily swayed when “educated” on the topic by nuclear companies. Many of the campaigns we’ve seen represent borderline indoctrination on the pros of nuclear power, while typically failing to mention catastrophes and the practically boundless risks and uncleaned waste sites still plaguing the planet today. Teachers and administrators should use more discretion on a topic as controversial as nuclear, and recognize that the industry’s propaganda campaigns know no boundaries. One of many examples of these industry-driven “nukewashing” campaigns was witnessed by EnviroNews when EnergySolutions, a nuclear waste disposal company stationed in Utah, “educated” a class of students in Salt Lake City about the “benefits” of radiation. Before the event around three-quarters of the class was opposed to nuclear energy, but when surveyed again after EnergySolutions was finished, around three-quarters of the students had changed their stance to a pro-nuclear position. Naturally, the teacher failed to bring in an educator from any anti-nuclear groups who would paint a different picture entirely. Sadly, the U.S. Government, via the Department of Energy (DOE), has also gotten involved in the nukewashing with a curriculum based program called, the Harnessed Atom. With that stated, it is the further opinion of the EnviroNews World News Editorial Board that nuclear companies should be kept out of the educational process on nuclear issues entirely — or at least limited to situations where anti-nuke organizations are allowed to present opposing views on the dangers and downsides of nuclear simultaneously. “The tour made me realize that we should arm ourselves with accurate information if we want to change people’s perceptions of Fukushima as a scary place,” said Keika Kobiyama, a first-year student in the Fukushima High School tour group. Sadly Keika, the leaking radioactive nightmare at Fukushima Daiichi is still a very “scary place,” and should be recognized as such — and if TEPCO told you otherwise, the company is, well, full of radioactive crap. in China solar and wind projects are on steep cost declines, while the cost of nuclear builds continues to rise. Significant delays in nuclear implementation in China, with targets not met. France has 20 of 58 nuclear reactors out of action. Vietnam abandons plans to build nuclear reactors with Japan and Russia. Switzerland can’t give its reactors away. World Nuclear Association figures continue to paint a misleading picture of the industry. With substantial action on climate change and efforts to reduce greenhouse gas emissions becoming a major focus, one might expect that the nuclear industry would be a substantial beneficiary. A recent report (The World Nuclear Industry Status Report 2016) examines the proposal for decarbonising the world economy and there is a section comparing proposals involving renewable energy (solar, wind power) in comparison with nuclear initiatives. The report is comprehensive and provides a lot of factual information about the industry. Perhaps a key fact is that in 2015, despite it being a good year for the nuclear industry, with nuclear power increasing by 31 TWh (almost all of it in China), renewable energy increase was 250 TWh (8x more than new nuclear capacity). Ten reactors started up in 2015. While this was more than for any year since 1990, construction of ALL of these reactors was commenced prior to the Fukushima disaster. In 2010 there were 15 constructions started; in 2015 there were 8 starts, while in the first half of 2016 no construction starts happened. The number of units under construction has declined for the third year in a row. There were 8 early closures of nuclear plants in 2015. In 9 of 14 countries currently building nuclear plants, all projects are delayed and mostly by several years. Chile suspended and Indonesia abandoned nuclear plans in 2015. In 2015 globally, wind power grew by 17%, solar by 33% and nuclear by 1.3%. The above describes the key insights in the World Nuclear Industry Status Report 2016. Here I show that recent developments in France, China, Switzerland and Vietnam are even more challenging for the nuclear industry, notwithstanding major pressure on fossil fuel exploitation as a result of the COP21 agreement becoming binding. France……. France is not at the end of this crisis yet. All told there are 87 irregularities concerning operational EDF reactors in France, plus 20 issues concerning parts for the Flamanville 3 EPR reactor. There are also other irregularities indicating unacceptable practices in the French nuclear industry. Since France has been a major figure in the worldwide nuclear industry, questions are being asked about reactors in other parts of the world, including China, Finland, Belgium and the UK. Japanese steel forger JCFC has built partsfor a number of Japanese nuclear reactors, including the Sendai No 2 reactor, which is one of the few Japanese nuclear reactors in operation. It isn’t suggested that these problems suggest imminent failure, but EDF is being cautious considering the massive implications for a nuclear accident. Recent evaluation has suggested carbon content of the steel in some components (0.39%) being almost double the design specification of 0.22% carbon. It has been reported as of 25 October to a French Parliamentary hearing that 1-2 more years are needed to check out the reported irregularities. The situation as of October 2016 is that 6 affected French nuclear plants have been given approval to restart, while 7 are being inspected as part of planned outages. Five more have been ordered off-line for checks; 3 more are scheduled to be unavailable through the winter and 1 has been shut down following detection of an irregularity. To say that the French nuclear industry is in crisis is perhaps an understatement. There are obviously flow on effects on the European power industry…. Will the above issues confronting the French nuclear industry impact the recent UK decision to proceed with the major Hinkley Point C development? Given that the (still under development) French Flamanville 3 reactor is affected by the French nuclear problems and no new generation reactor is yet operable, one wonders whether the Hinkley Point C project will ever see commercial operation. Indeed the steel casing for EPR reactors in China (two reactors in Taishan) and that proposed for Hinkley Point C (2 reactors) uses/plans to use construction with a similar Areva forging technique used at Flamanville 3. China is the country which carries the future of the nuclear industry. Nuclear power has been part of China’s plans to reduce its dependence on fossil fuels, along with hydropower, solar and wind energy. Hydro, solar and wind have all overachieved in terms of China’s initial goals. Nuclear developments have been more problematic after Fukushima, which led to a review of the program. Today the goal is for 58 GW of nuclear power to be installed and operational by 2020. Currently there are 31.4 GW operating and 19.3 GW under construction. This leaves a shortfall of 7.3 GW, so that the 58 GW goal seems almost certain not to be met. Just as is happening everywhere else in the world, in China solar and wind projects are on steep cost declines, while the cost of nuclear builds continues to rise. The Vietnamese Parliament has decided to stop nuclear plans…….. Given the slowdown in China, the disaster in France, Vietnam’s decision to stop two nuclear developments and aging nuclear fleets around the world, there are few reasons for optimism, especially for nuclear power in the developed world. India is perhaps the exception. However, an uncritical viewing of the World Nuclear Organization website exhibits none of these concerns. Indeed the World Nuclear Association continues to claim 436 operable nuclear reactors worldwide, notwithstanding that a significant proportion of these reactors (notably in Japan) have not operated for more than 5 years. A recent report “World Nuclear Performance Report 2016, Asia Edition” presents an optimistic view of the industry. It is perhaps relevant to read that report with the knowledge of the kinds of announcements that provide the content in this article. The Fukushima nuclear accident changed the course of the nuclear industry, not only in Japan but globally. The recent problems in France exacerbate the problem and raise issues about new projects such as Hinkley Point C. Developments in other countries (Switzerland, Vietnam) all point to acceleration of the trend away from nuclear power as the world decarbonises. Unlike China’s continued acceleration of renewable energy build, its nuclear program is not meeting its targets. the spent fuel would be moved from plants in thirty states to a handful of regional, aboveground storage facilities—what Kevin Kamps, a waste specialist at the watchdog Beyond Nuclear, has called “parking-lot dumps.” There the waste would sit, on concrete pads similar to the one at Pilgrim, for twenty, forty, maybe even a hundred years, until the federal government finds a more permanent scheme. Dry casks must be hauled on heavy, slow-moving trucks, or on freight trains, which at times pass through densely populated parts of the country. Moving the casks once is arduous and expensive enough, but the D.O.E.’s proposed solution—bringing them to a temporary way station, then to a final resting place—requires doing it at least twice. “Interim storage is, in my mind, a waste of time, money, and resources,” Gregory Jaczko, a physicist and former chairman of the Nuclear Regulatory Commission, told us. PILGRIM’S PROGRESS: INSIDE THE AMERICAN NUCLEAR-WASTE CRISIS, New Yorker, By Gregg Levine and Caroline Preston, NOVEMBER 25, 2016, “…..Pilgrim is one of the worst-rated nuclear facilities in the United States. Ever since it generated its first kilowatt of electricity, in December of 1972, it has been beset with mechanical failures and lapses in safety. In a single four-week stretch this summer, the plant was offline for a total of fifteen days because of a malfunctioning steam-isolation valve, elevated water levels in the reactor, and other problems. For years, Pilgrim’s detractors have kept steady pressure on Entergy and state officials through local protests, a sit-in at the governor’s office, and legal action. Last October, in a partial victory for activists, the company announced plans to shutter the plant, citing the expense of keeping it running in the face of cheap, abundant natural gas and increasingly competitive “renewable-energy resources.” The reactor is scheduled to go dark on May 31, 2019. But that won’t end Pilgrim’s saga. Come June 1st, the plant will still host more than eight hundred tons of irradiated spent fuel. Most of the waste is currently stored in a forty-foot-deep pool of water, suspended four stories aboveground, next to the reactor core. The pool, which was designed to hold eight hundred and eighty fuel assemblies, now contains more than three times that number. (A federal regulatory waiver has allowed Entergy to pack the pool more densely than originally planned, a move repeated by operators across the country.) The National Academy of Sciences has warned that if the cooling system in a plant like Pilgrim failed, there would be little time before the water in the pool boiled away and exposed the radioactive rods to air. The resulting fire, the N.A.S. and anti-nuclear watchdogs have cautioned, could send across Cape Cod and northern New England many times the amount of radioactive cesium-137 released in the Chernobyl disaster. “Pools like the one at Pilgrim Nuclear Power Station are a disaster waiting to happen,” Senator Ed Markey, a Democrat from Massachusetts, told us in an e-mail. The Department of Energy, the agency with ultimate responsibility for the nation’s roughly seventy thousand tons of nuclear waste, has a plan—or, at least, a plan for a plan. This spring and summer, the D.O.E. held forums in cities across the country, including Boston, to discuss a “consent-based siting initiative.” This initiative—not the identification of places to put the waste, per se, but a framework for gaining buy-in from a mistrustful public—could result in any number of storage scenarios. “We’re trying to continue making progress toward the development of what we call an integrated waste-management system,” John Kotek, the acting assistant secretary for the Office of Nuclear Energy, told us. One option is consolidated interim storage. Under this plan, the spent fuel would be moved from plants in thirty states to a handful of regional, aboveground storage facilities—what Kevin Kamps, a waste specialist at the watchdog Beyond Nuclear, has called “parking-lot dumps.” There the waste would sit, on concrete pads similar to the one at Pilgrim, for twenty, forty, maybe even a hundred years, until the federal government finds a more permanent scheme. The D.O.E. sees this interim plan as a way to relieve communities like Plymouth of their waste burden (and the U.S. government of its payouts to the industry). But critics offer a weighty list of objections, chief among them that removing the waste from one community’s back yard requires putting it in another’s, creating more contaminated sites requiring future cleanup. The D.O.E. expects that some communities will step up and take the waste on anyway, but many people at this summer’s forums accused the agency of using public consent as a substitute for scientific and regulatory rigor. Once sites are identified, then there’s the problem of transportation. Dry casks must be hauled on heavy, slow-moving trucks, or on freight trains, which at times pass through densely populated parts of the country. Moving the casks once is arduous and expensive enough, but the D.O.E.’s proposed solution—bringing them to a temporary way station, then to a final resting place—requires doing it at least twice. “Interim storage is, in my mind, a waste of time, money, and resources,” Gregory Jaczko, a physicist and former chairman of the Nuclear Regulatory Commission, told us. Diane Turco, who retired early from her job as a special-education teacher to devote more time to the Cape Downwinders—she is now the organization’s president—doubts that the government could make the plan happen anyway. “We think it’s just a big show to placate the public,” she said. “We don’t see it going anywhere.” Some local officials and residents, recognizing that progress is liable to be slow, have asked the government to compensate them for serving as a de-facto nuclear dump. In the meantime, the casks are stacking up, vulnerable not only to the powerful storms and rising seas that come with climate change but also to deliberate attack. A terrorist group could sabotage the plant’s power supply or cooling system, mount a direct assault on its personnel, fire a rocket from the Bay, or launch a suicide attack from the air—not such a difficult proposition, as Rifkin’s helicopter experiment proved. …. Tim Johnson “……By all accounts, the nuclear briefings a president-elect receives before inauguration are both complex in detailing procedures for a nuclear launch and awe-inspiring in explaining the physical consequences of selecting a target, launching an attack and girding for the fallout. “These are the aspects that reportedly left President Kennedy ashen-faced,” said Peter D. Feaver, a security and conflict expert at Duke University, who worked on the National Security Council under the Bill Clinton and George W. Bush administrations. Those familiar with the nuclear briefings say they demand a sharp focus…….. The black satchel operates with a dual key system, and part of the system is for the president to take a card from his pocket to input the correct codes. “The card itself is critical to begin the process that activates the system,” Mr Panetta said. While the system is designed with overlapping triggers that ensure that nuclear weapons are not launched by mistake, it is also designed for a president to make a snap decision. “It’s a very short period of time, measured in minutes,” Mr Feaver said. “If we believe that the spread of nuclear weapons is inevitable, then in some way we are admitting to ourselves that the use of nuclear weapons is inevitable,” Mr Obama said in Prague in April 2009, promising to make nuclear nonproliferation a top priority. In theory, no one stands in the way of the commander in chief and a nuclear launch…….. Some voice concern about what they see as Mr Trump’s imprudence. During the campaign, Mr Trump offered many points of view, saying limited proliferation was inevitable, nuclear war would be horrific and that the United States should always leave nuclear use as a possibility. Bikini was just the beginning, bombs still threaten the islanders, New Internationalist DECEMBER 2016 John Pilger visits the Marshall Islands and its bomb survivors, still blighted by US nuclear weapons. “……..The explosion vaporized an entire island, its fall-out spreading over a vast area. There was a ‘miscalculation’, according to the official history; the wind ‘changed suddenly’. These were the first of many lies, as declassified documents and the victims’ testimony have since revealed. Commanding the Pacific all the way to Asia and China, the base continues to subject the islanders to the testing of weapons of mass destruction. Missiles are launched at night, or fired into the lagoon from California. Following each ‘shot’, islanders fall sick with a ‘mystery illness’. The Environmental Protection Agency says fish in the bay cannot be eaten; fish was once the staple. The cost of firing one missile is $100 million, or two-thirds of the compensation paid to the islanders……..
AFP-JIJI NOV 27, 2016 CHERNOBYL, UKRAINE – The world’s largest metal moveable structure will be unveiled Tuesday over the Chernobyl nuclear power plant’s doomed fourth reactor in Ukraine to ensure the safety of future generations across Europe. The giant arch — nearly as long as two soccer fields and taller than New York’s Statue of Liberty — will edge into place over an existing crumbling dome that the Soviets constructed in haste when disaster struck three decades ago on April 26. Radioactive fallout from the site of the world’s worst civil nuclear accident contaminated Ukraine and spread across three-quarters of Europe. About 30 of the cleanup workers known as liquidators were killed on site or died from overwhelming radiation poisoning in the following weeks. The toll from the accident caused by errors during an experimental safety check remains under dispute because the Soviet authorities did their best to cover up the tragedy. Kiev held a May Day parade as invisible contamination spread over the city while then-Soviet leader Mikhail Gorbachev only admitted on May 14 that something had gone terribly wrong. A United Nations estimate in 2005 said around 4,000 people had either been killed or were left dying from cancer and other related disease. But the Greenpeace environmental protection group believes the figure may be closer to 100,000. The authorities maintain a 30-kilometer-wide (19-mile-wide) exclusion zone around the plant in which only a few dozen elderly people live. Concerns over the safety of the disintegrating concrete shelter — built by 90,000 people in just 206 days — prompted the European Bank for Reconstruction and Development (EBRD) to spearhead a 2.1-billion-euro ($2.2 billion) project to install a new safety dome. The numerous problems with the Soviet-era solution included the fact that the protective structure only had a 30-year lifespan. Yet its deterioration began much sooner than that. “Radioactive dust inside the structure is being blown out through the cracks,” Sergiy Paskevych of Ukraine’s Institute of Nuclear Power Plant Safety Problems said. Paskevych added that the existing structure could crumble under extreme weather.“This would especially be a potential problem if there was a tornado or an earthquake,” Paskevych said. The new arch should be able to withstand tremors of 6.0 magnitude — a strength rarely seen in eastern Europe — and tornados the likes of which strike the region once every million years. Chernobyl’s dangers are real but Kiev complains Europe’s help took a long time coming. The EBRD found 40 state sponsors to fund a competition in 2007 to choose who should build a moveable dome the likes of which the world had never seen. A French consortium of two companies known as Novarka finished the designs in 2010 and began construction two years later. The shelter was edged toward the fourth reactor in just under three weeks of delicate work this month that was interrupted by inclement weather and other potential dangers. It will later be fitted with radiation control equipment as well as air vents and fire protective measures. “And only then will we begin to disassemble the old, unstable structure,” the head of Ukraine’s State Nuclear Regulation Inspections agency Sergiy Bozhko said. But he said no time frame had yet been set for the truly hazardous work of removing all the remaining nuclear fuel from inside the plant or taking apart the old dome. “Those decisions will be made based on future studies,” Bozhko said. UN General Assembly climate meetings ignored the oceans – the primary drivers of climate. Although the recent UN General Assembly meetings in New York City included the largest gathering of world leaders ever to address climate change, the largest factor in our climate cycle was missing from the discussions — the ocean. Whatever the rationale, it is not rational that Earth’s dominant feature is not sufficiently addressed in important policy discussions about energy, the environment, economy, health, and security. It is especially perplexing that the ocean is getting short shrift in the current climate policy discussions. https://realrussiatoday.com/2016/11/22/explosion-at-nuclear-power-station-in-russia/6th reactor building of the Novovoronezh nuclear power plant, that was built based on an experimental reactor VVER-1200, could only work a few weeks at full capacity until an accident occurred. Locals reported a powerful explosion at the nuclear power plant, reports Russian ecological media Bellona.ru. At the same time, Russian state-owned media traditionally kept extremely silent regarding the details of the incident. 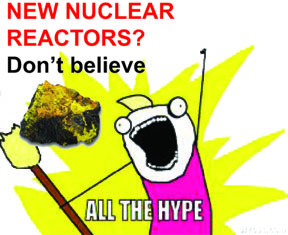 In particular, news agency RIA Novosti reported that “the 6th power unit of Novovoronezh nuclear power plant was disconnected from the grid due to failure of the power generator.” Meanwhile, independent environmental organizations found out that the problem is actually much more serious. Employees of Novovoronezh NPP deny the information about an explosion. They say that a loud sound was caused by a fault trip. Swiss reject plan to speed up exit from nuclear energy Herald Courier, Associated Press |BERLIN (AP) , 27 Nov 16, — Swiss voters rejected a plan to accelerate the country’s exit from nuclear energy in a referendum Sunday, turning down an initiative that would have forced their government to shut the last plant in 2029. “The problems haven’t been resolved with this referendum Sunday,” Rytz said. “We will keep at it on safety, on financial security … and on expanding renewable energies.”…. Fukushima aftershock renews public concern about restarting Kansai’s aging nuclear reactors http://www.japantimes.co.jp/news/2016/11/27/national/fukushima-aftershock-renews-public-concern-restarting-kansais-aging-nuclear-reactors/#.WDs4zdJ97Gg BY ERIC JOHNSTON STAFF WRITER KYOTO – The magnitude-7.4 aftershock that rocked Fukushima Prefecture and its vicinity last week, more than five years after the mega-quake and tsunami of March 2011, triggered fresh nuclear concerns in the Kansai region, which hosts Kansai Electric Power Co.’s Mihama plant in Fukui Prefecture. John Pilger’s documentary, The Coming War on China, is in cinemas in the UK from 1 December, beginning at the BFI on London’s Southbank. On 5 December, Picturehouse cinemas will hold a nationwide with John Pilger. The website is picturehouses.com. On 6 December, ITV will broadcast the film and a DVD will be available the same day. The Australian release is early in 2017; SBS Australia will broadcast the film nationwide.